The Bachelor of Science is offering a new Major in Interdisciplinary Science and Practice that integrates concepts and knowledge from different science disciplines to be applied to real world problems through local and global perspectives. In partnership with the Faculty of Science, the Bachelor of Journalism (Honours) has a new Concentration in Health Sciences. This unique collaboration, not offered anywhere else in Canada, allows students to explore journalism and science communication. The Biology program within the Bachelor of Science is offering a new Concentration in Biodiversity, Natural History and Conservation Science. 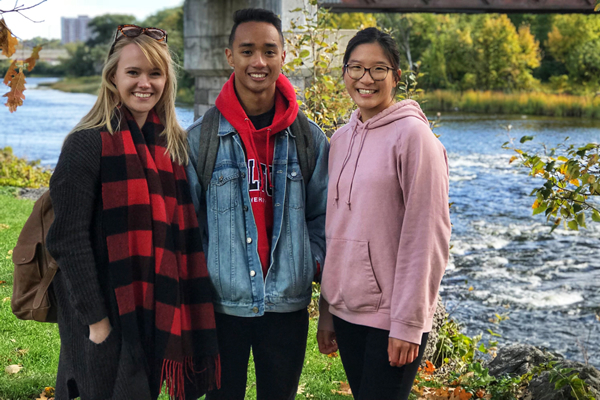 Carleton’s Bachelor of Global and International Studies has introduced a new Specialization (Honours) and a new Stream (General) in Global Religions: Identity and Community.